Glass mirrors are an essential part of your home’s décor. Whether you are looking to make a small bathroom appear bigger or create an interesting talking piece, glass mirrors in Houston should be a welcome addition to every home. As you can see in this video, there are many ways you can place glass mirrors around your house to create attractive and useful decorative pieces. To visually expand an area, place a large mirror across from glass doors. Look for mirrors with decorative frames or interesting designs placed over the mirror itself. Glass mirrors with an antiqued surface create beautiful decorations wherever you place them. If you have a small bathroom, then consider adding an oversized mirror to visually expand the space; or place smaller, stylized mirrors to reflect the light and brighten a small area. 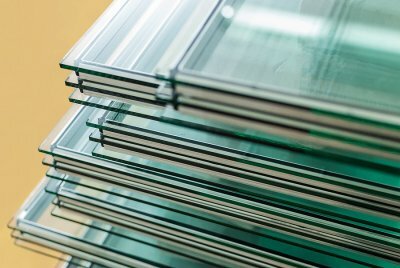 If you’re interested in purchasing a custom wall mirror or full-length mirror in Houston , you should talk to a residential glass expert at your local glass company about antique mirror options. Antique mirrors instantly create a sophisticated, elegant ambient that can complement any home’s design. Here are some tips for purchasing an antique mirror from your local glass company. The size and style of mirror that you choose will often depend upon where the mirror will be placed in your home. You can choose between wall-mounted mirrors, full-length mirrors, wall mirrors, vanity mirrors, and freestanding mirrors. If you’re placing the mirror in a narrow hallway, a wall mirror can open up the space and make it seem larger and brighter. If you’re looking for a bathroom mirror, you might consider a wall mirror or vanity mirror. If you need a mirror for your bedroom or walk-in closet, a full-length mirror is best. Antique mirrors span a variety of time periods, each characterized by a unique style. Look at pictures of mirrors from the Georgian, Regency, Victorian, and Edwardian periods to see which style you like best. Gothic mirrors tend to have frames with pointed arches and ornate carvings, and are typically crafted out of dark, heavy wood. Baroque mirrors are generally in oval shaped frames of gold or silver, and are less ornate. Art nouveau mirrors have pewter or black lacquer frames, swirling designs with nature motifs, and might incorporate stained glass. When you visit your local glass shop to look at their antique mirror selection, you should be familiar with the qualities to look for in antique mirrors. Look at the frame style, mirror shape, and any trademarks or dates on the frame to verify the frame’s manufacturer and the time period in which it was made. The glass in antique mirrors will be thinner, and gray or yellowish in color. It may also have a curved or irregular appearance.